Applied Graphene Materials says that it has fulfilled a purchase order for a graphene enhanced automotive aerosol primer. Callaway Golf Company and GE Additive have redesigned a putter head for additive manufacture (AM). UK-based Applied Graphene Materials (AGM) has launched two thermal paste adhesive materials: Genable 4400 and Genable 4300. 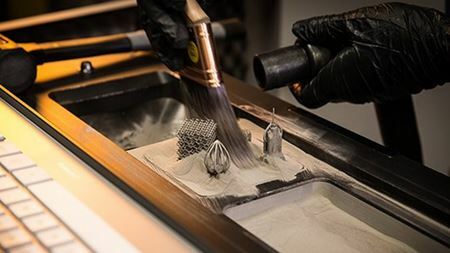 Additive manufacturing (AM) company EOS has developed its new EOS M 300-4 system as part of its metal 3D printing range. The Jaguar I-TYPE 2 Formula E race car has set a new electric car course record of 30.46 seconds at the Shelsley Walsh Hill Climb in Worcestershire, UK.